Fairs and Festivals are the most awaited moments of celebrations in India. With a strong place in the heart of every Indian, festivals are the special times when the country braces itself up for celebrations. And the unique aspect of fairs and festivals in the country is that there are enough festivals to fill the calendar and there is celebration for each and every occasion. 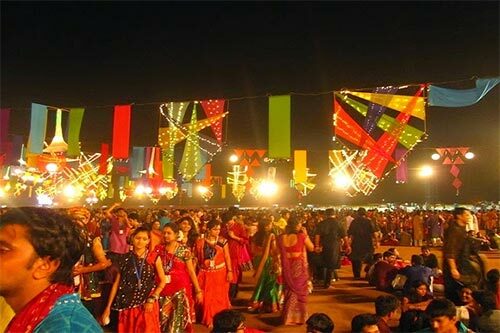 All this makes fair and festival tour of India a rich way to experience its rich and colourful celebrations. The festivals in the country are observed to welcome the new seasons, harvest, rains, birthdays of divine saints and gurus, pious days, and the list is endless. Since the country nurtures diversity of faiths and cultures, it becomes invincible for it to celebrate the different occasions with gusto and excitement. People indulge in festivals and participate in rituals, prayers, decorate their houses, wear new clothes, exchange wishes and gifts, wear new clothes gorge on festive delicacies. All this is done to make the festive occasions special and memorable. Another unique thing about the festivals of India is its diversity. Most of the festivals here are celebrated differently in different regions. For e.g. Navratri is celebrated as Durga Pooja in West Bengal, lavish Mysore Dassara in Karnataka, Ramlila staging in North India, Kullu Dussehra in Himachal Pradesh, Gollu Garba Dandiya in Gujarat, Navratri Golu Doll display in Tamil Nadu. Now, where in the world can we see such a vivid and unique way of celebrations? Certainly in India. This is why festivals tours India are seen with great regard and excitement. 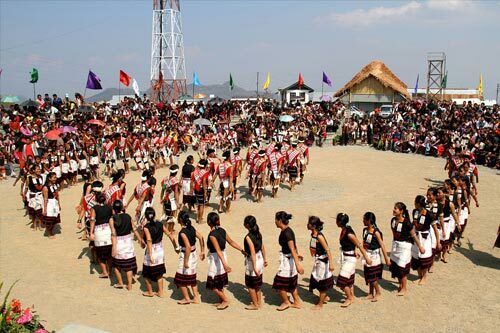 Also, there are many cultural festivals celebrating the culture of the country through art forms like music and dance. Apart from upholding the culture of the respective region, these special festivals also promote tourism. Khajuraho Dance Festival, Goa’s Carnival, Desert Festival, Puri Dance Festival, Rajgir Dance Festival, Mahabalipuram Dance Festival are some of the prominent cultural festivals that help India promote its legacy of dance and music. Fairs in India on the other hand are celebrated to engage the people locally on a smaller scale. Concentrating on a particular location, fairs usually throw a spotlight on a local attraction and present the rural India in its most colourful and simple form. There are many locally organized annual fairs that keep up with the spirit of the hamlets and villages and present its rich heritage in a unique way. Tourism wise also, such fairs are seen as a direct outlet to observe Indian quirks, shop for ethnic Indian handicrafts and even witness the rich folk dance and music – all at one place. Fairs and Festivals of India present the country in its richest and the most colourful form. Since the whole calendar is booked with numerous festivals and fairs, it needs correct guidance to ensure the best possible fair and festival experience in India. For this purpose, Incredible India Tour has a team of experts that can plan out your specific fair and festival tour requirement. Also, there are certain popular festivals of India that are visited by many travel enthusiasts. You can find such itineraries on this page. Incredible India invites you to experience the rich and colourful celebrations through its fairs and festivals.